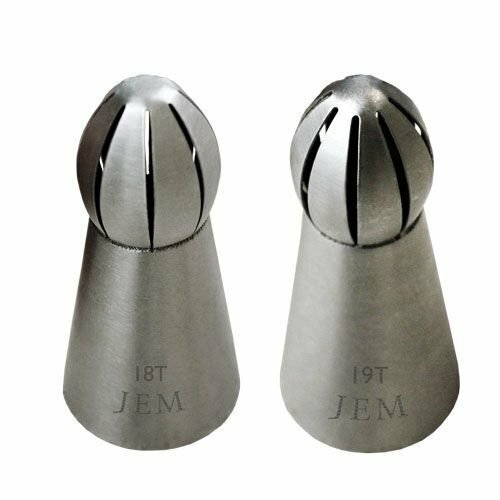 This set of two JEM high quality nozzles are ideal for piping ‘twist’ effects on cupcakes and cakes. How to use: Place the nozzle in a decorating bag, fill the bag with buttercream and bring your decorating bag above your cupcake. Give pressure and turn left and right while bringing the bag up. The JEM nozzles are made of stainless steel. Content: nozzle 18T and nozzle 19T.